Yay! 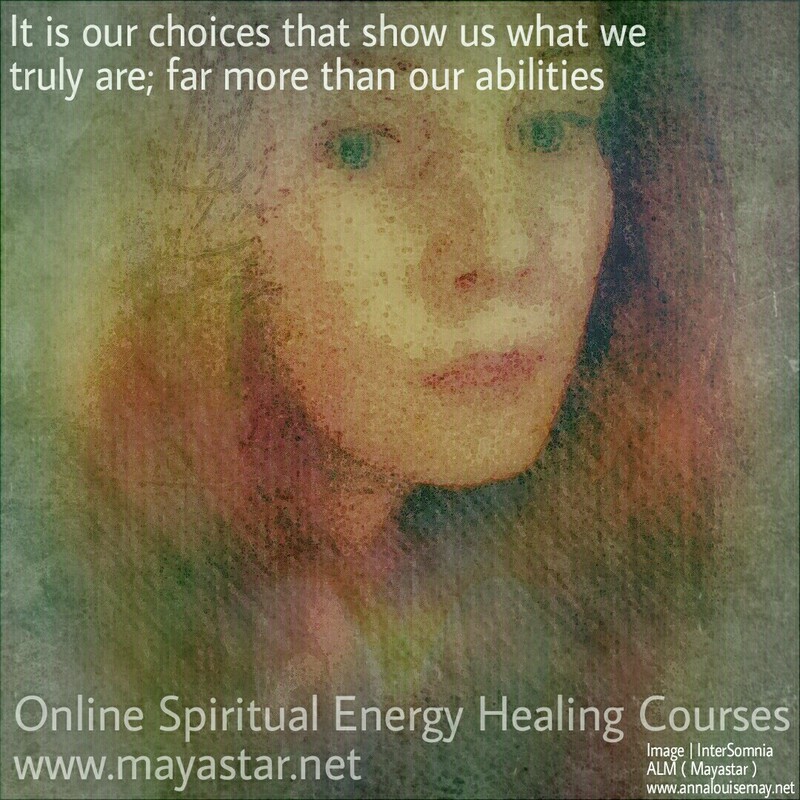 Fantastic special offers from Mayastar Academy Online Natural Healing & Spiritual Development Online – Energy Healing Attunement courses. Included course options – Healing Touch of Jesus, Mother Mary Protection, Star Essence Activations, Buddha Reiki, Goddess Energies, Higher Self Activations, Angel Journey and more! Gratitude is often cited as an essential part of the process of manifesting. When we talk about manifesting there is always a contingent that thinks it’s wishful thinking. Perhaps even delusional. There is a contingent of people who believe in hardship and suffering – considering these things more “real” than positive experiences, happiness and a sense of wellbeing. Not realising the effect their focus has on their perception. And on their life experience. As they say – there is no good wind for a ship that doesn’t know where it’s going! Defining your intentions isn’t necessarily easy. We are often ambivalent about the things we think we want and create our own resistance to achieving them. For example, you want to lose weight but you don’t want to give up fast food. You want to become a manager but you don’t want to lose the connection you currently have with your co-workers. Writing a list of pros and cons to help you decide if what you think you want is what you really want can be emotionally tough. Admitting some things to yourself…like an intense fear of failure…can make you feel less confident and less capable before it makes you feel better! But developing our self awareness is sometimes hard. It also may take time to feel right in yourself when you call yourself to account. I remember a long time ago…ending a long term relationship that was essentially abusive, was difficult in a personal way because I felt so guilty for putting myself through it and for ever holding myself in such low esteem that I let things slide that I shouldn’t have. Far more than the change in my circumstances or ideas of missing what I was used to in my life, I was really consumed by guilt about my own bad treatment of myself in allowing the relationship to continue when I should have ended it years back. So self awareness that allows objective and precise definition of your goals and intentions is a process. It is something you learn to do better the better you know yourself. Developing a habit of being grateful means shifting your perspective and allows you to see the good in the bad; the opportunity in knock back; the potential in the struggle. And approaching development of self awareness with an “attitude of gratitude” makes the process far less painful. Seeing the good in the bad even while you’re experiencing something challenging, turns the tables! On my channel www.youtube.annalouisemay.net I recently recommended some exercises to assist in embracing gratitude. And one that I think is a real eye opener to the potential of “counting your blessings”, is to push yourself to do it! You might choose any number for this challenge…if you keep a gratitude diary and every day write down the things you are grateful for – even on days that seemed predominantly bad, you may find you remember being grateful for small things…enjoying the smell of the rain…having a long hot bath…your home…the things you take for granted you might be able to fill a page with if you decide to do it. But what about if rather than count your blessings, you challenge yourself to find 100…200…500. List the numbers and at the start of the exercise you will tend to list things like friends and family. Pets. Your home. Your job. Once the big things are covered you being to list the small things…your first coffee of the day…the falafels you had for lunch…etc. And then it becomes harder…you have so many numbers to fill. You’re wracking your brain. And pretty soon you’re writing good aspects of bad experiences. Once it begins your mind ferrets through your whole past looking for potentially good things in the negative experiences of the past. If you keep at it, you can’t help but fall into a mindset of gratitude and a feeling that nothing bad ever happened to you…there were challenges but they turned out to be good things later. That’s the mindset that aligns you with your goals, ambitions and hopes and dreams; with no inner conflict or resistance to good things coming into your life you don’t just attract good things because you resonate with good things – your mind is focused in a way that means you see opportunities – you look for them and so you see them just as surely as people looking for problem are absolutely guaranteed to find them. It’s a choice. We can’t choose everything that happens to us. But we can choose how we interpret it and respond to it. So I absolutely recommend starting any manifesting work with actively pursuing and cultivating an attitude of gratitude. Everything naturally follows from decision.